In order to build a sustainable business, to better support a growing market while ensuring quality of delivery, Siveco has launched its Value Added Partner Program (VAPP) in China in 2006. The VAP program aims at providing better access to Siveco's well-recognized solutions and services. The program also offers significant profit-sharing opportunities to partners with strong expertise in their industrial or geographical areas. Different levels of partnerships are available, ranging from simple business introduction to full distributors with their own, certified, delivery capability. In any case, Siveco ensures that great care is taken to preserve both partners' and customers' interests. In the very competitive Chinese market environment, where vendors often have several resellers competing with each other, this has proven to be critical to our success. Overseas partners also play a great role in the international development of Siveco China. 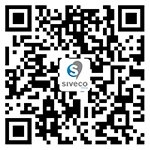 Value Added Partners work alongside Siveco's Partner Support team, located in Shanghai, both for sales and implementation. Customers benefit from the improved support capability, larger geographical coverage and better integration with various third-party solutions, based on Siveco's well-recognized suite of maintenance software. The VAPP includes a comprehensive training and certification process. Partner seminars and joint marketing events are organized throughout the year. To learn more about Siveco China VAPP, our experience, success stories, as well as information on the various partner levels and how to join VAPP, please refer to the Siveco Partner section of our monthly newsletter. Potential partners, please contact our VAPP team at vapp@sivecochina.com.